On Saturday, 23 October 2010, Sonia Oatley waved off her 15-year-old daughter, Becca, to meet Joshua Davies, a former boyfriend. Becca's hope was that the two of them would get back together, but it was not to be. By 3pm, oddly, she stopped answering her mobile. By 7.30 she was officially declared missing. And at 10am the following morning, while Sonia and the family were out searching, came the call that is every parent's worst nightmare. The police had found the body of a young girl in local woodland: she'd been bludgeoned to death with a rock. 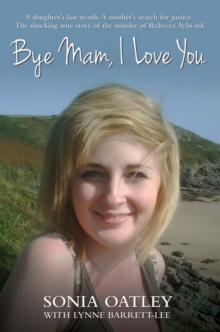 Bye, Mam, I Love You is the story of Rebecca Aylward's murder - a slaying that was described by an incredulous media as having been committed for 'the price of a breakfast'. But, as soon became clear, this was no crime of passion. Becca's death had apparently been many months in the planning, by a calculating, cold-blooded killer. 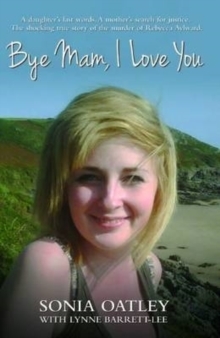 From the immediate arrest of 16-year-old Joshua Davies, to the lengthy investigation and harrowing five week trial that convicted him, this book is both an expression of a mother's love and her pride in a daughter who had so much to live for, as well as an insight into the mind of a brutal murderer.